Sir Roger Moore, one of the original James Bonds, has died at the age of 89. “It is with a heavy heart that we must announce our loving father Sir Roger Moore has passed away in Switzerland after a short but brave battle with cancer,” his family said in a statement via Twitter. Moore had a long career, but he’s best known as one of the two actors who originated the role of James Bond. 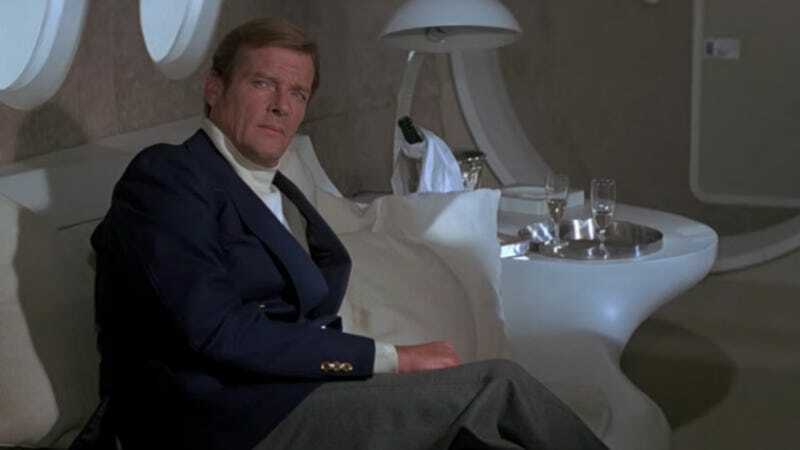 Where Sean Connery opted to play the character with dark charm and a vibe like you maybe wouldn’t want to get into a taxi alone with him, Roger Moore went with sly humor that slid into a sort of joyful cheese. You could get a preview of this before he was ever cast, via the magic of YouTube: In 1964, when he was still on the TV show that made him famous, The Saint, he popped by the BBC program Mainly Millicent for a skit that imagined him as 007 attempting an off-the-clock vacation. It is very funny and Moore is very good looking. The Guardian notes that he was in fact in the running for the role when it was initially being cast, but his TV work—including his role as a suave thief on The Saint, which shared a fair bit of narrative DNA with the Bond franchise—made it a non-starter and Connery won out. When he left, in stepped Moore with 1973's Live and Let Die. I thought Casino Royale was tremendous. I thought his action was quite extraordinary—he did more action in the first 30 seconds of the film than I did in 14 years of playing Bond. To me, he looks like a killer. He looks as though he knows what he’s doing. I look as though I might cheat at backgammon. Also, he was a sufficiently good sport to appear in Spice World. However, his knighthood was in fact for his charity work. In 1991 he became a UNICEF goodwill ambassador and worked for a variety of children’s causes over the decades. His family’s statement said that’s what he considered his greatest achievement.